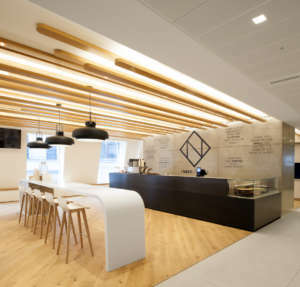 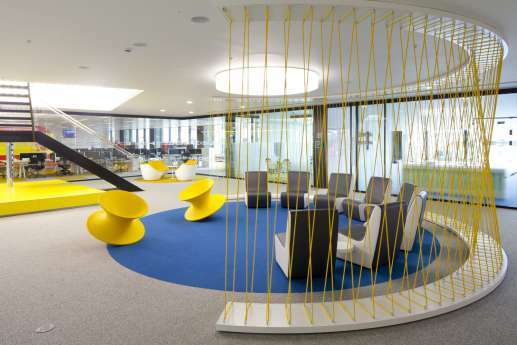 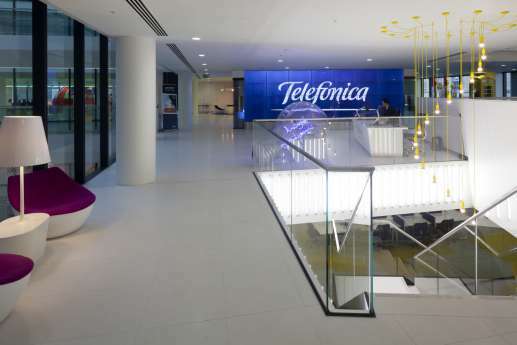 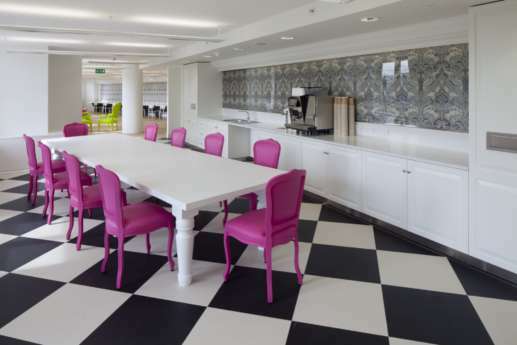 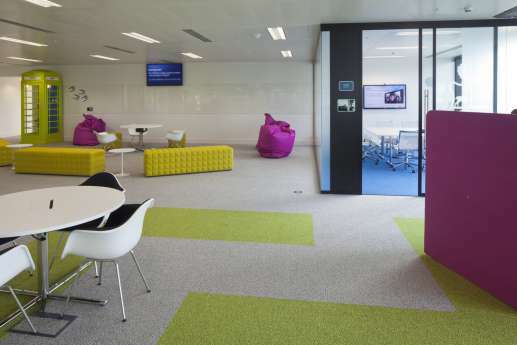 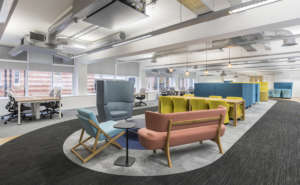 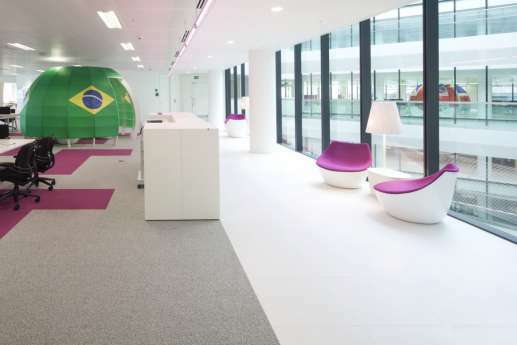 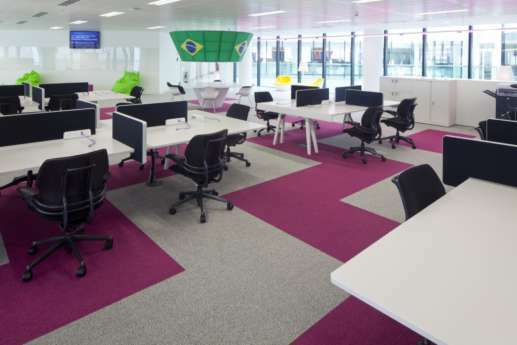 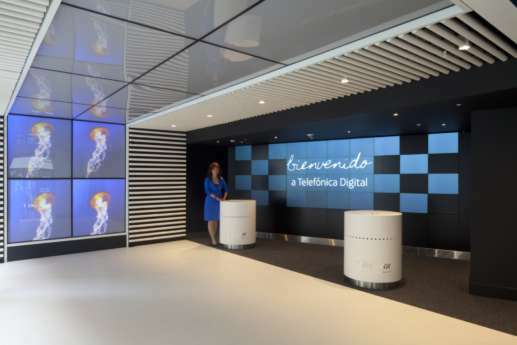 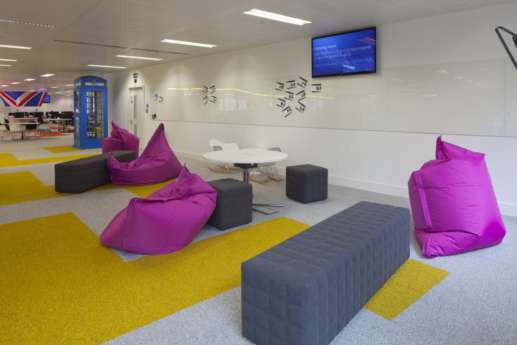 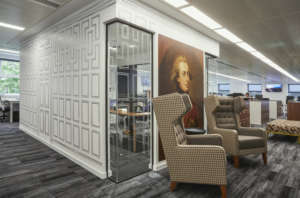 By fitting out Telefónica Digital’s new 50,000 square foot office space, we helped create a high tech, flexible, sustainable and engaging workplace for staff in its global digital services and innovation arm. 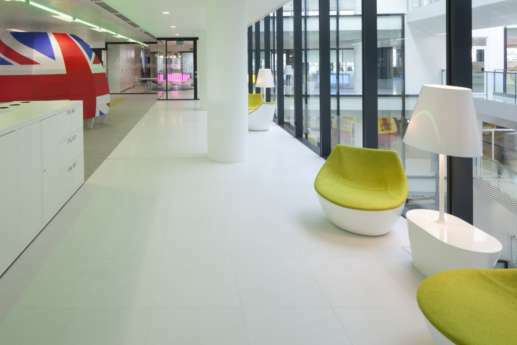 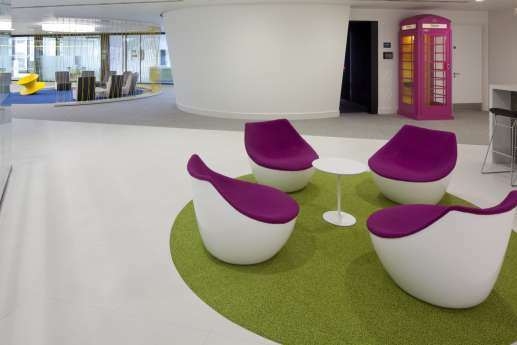 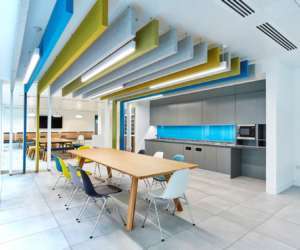 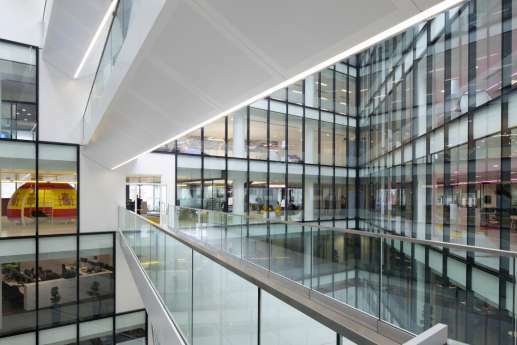 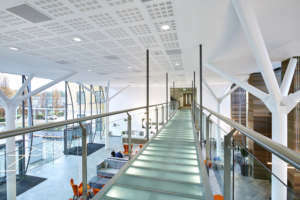 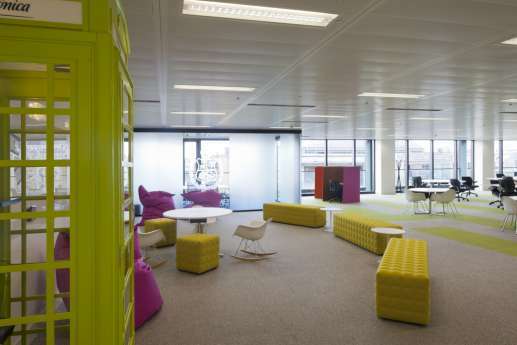 A major part of the fit out was building a large inverted cone known as the ‘brand pod’. 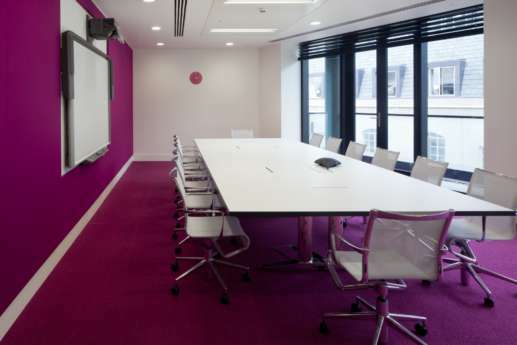 This comes complete with mood lighting, custom seating, full AV systems, surround sound, blue ray and X-box 360. 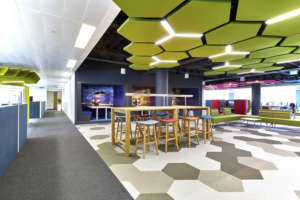 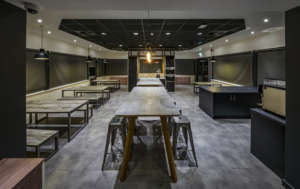 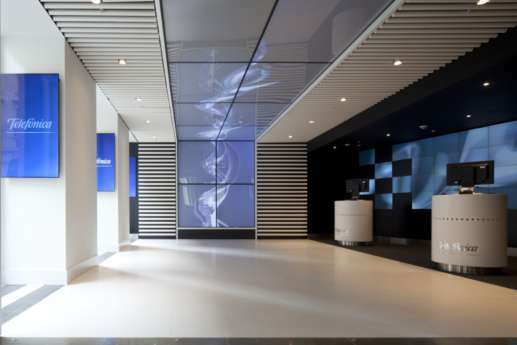 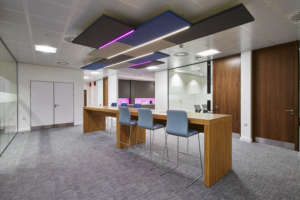 We also designed fully integrated joinery, cooling system, fire suppression and AV for the pod, and installed a new ground floor ‘welcome zone’ that included a video wall and new HD digital signs.